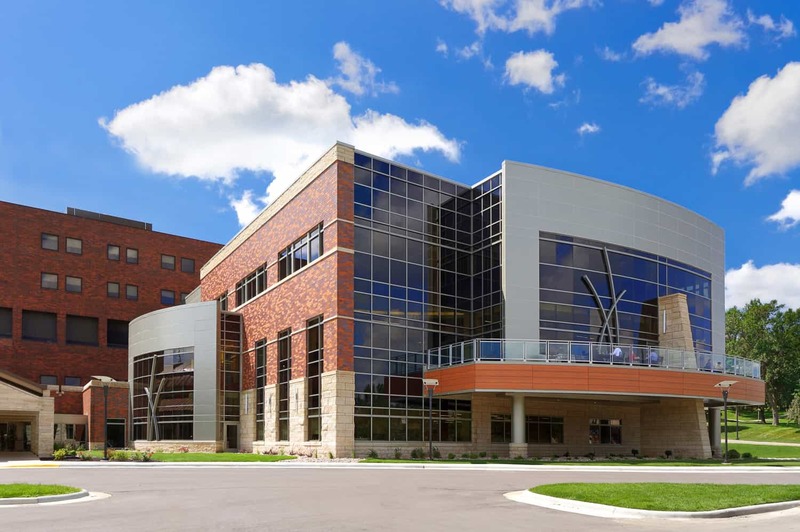 A 32-year-old, 90-bed hospital, Avera Sacred Heart Hospital lacked an on-site nutrition services program, served by an off-site facility located south of the hospital and shared with a nursing home. 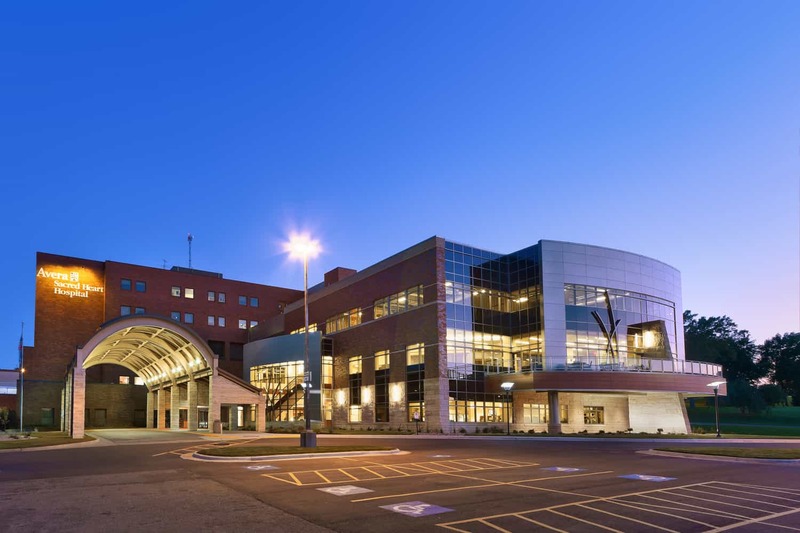 The three-story Northern Lights addition not only brings a kitchen, dining center, and café to the regional hospital, it also adds space to relocate a pharmacy and laboratory to allow expansion of other services in the hospital, and opens new space for physical, speech, and occupational services as well as a sleep lab and diabetes clinic. 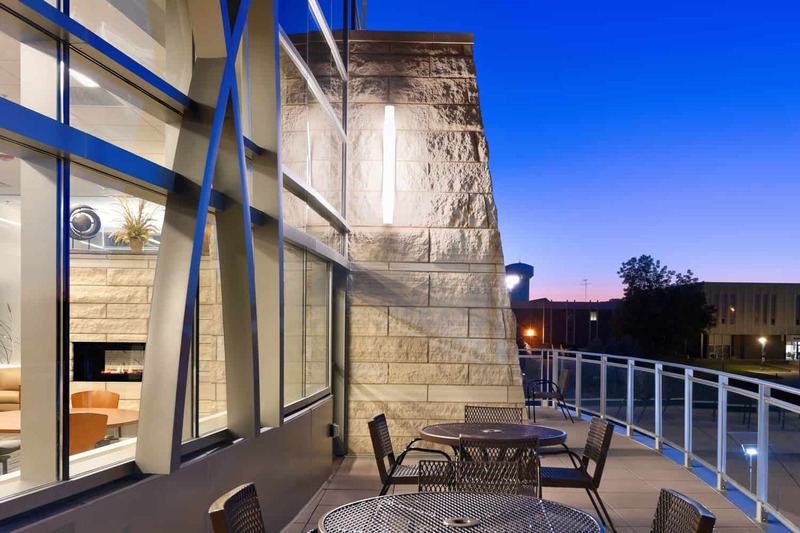 Efficiency and warmth are at the center of the design. 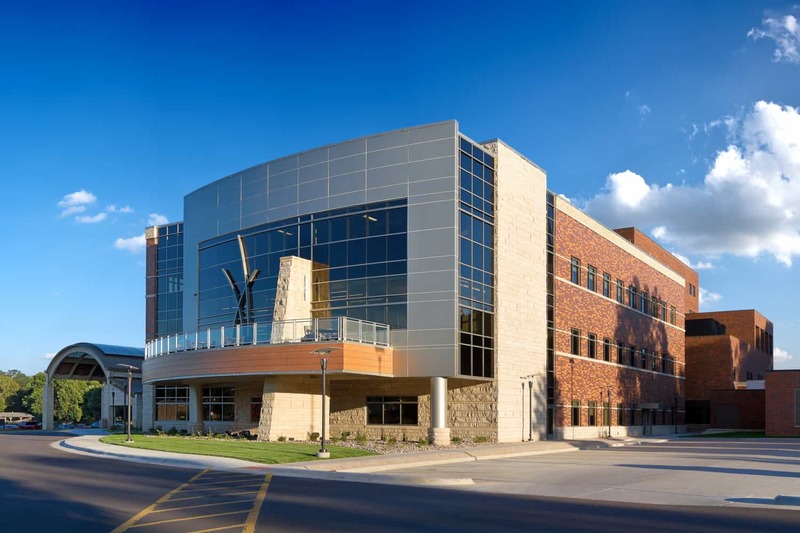 Located on the northwest corner of the hospital campus with significant windows, the location and light coming into the expansion give the project its name. 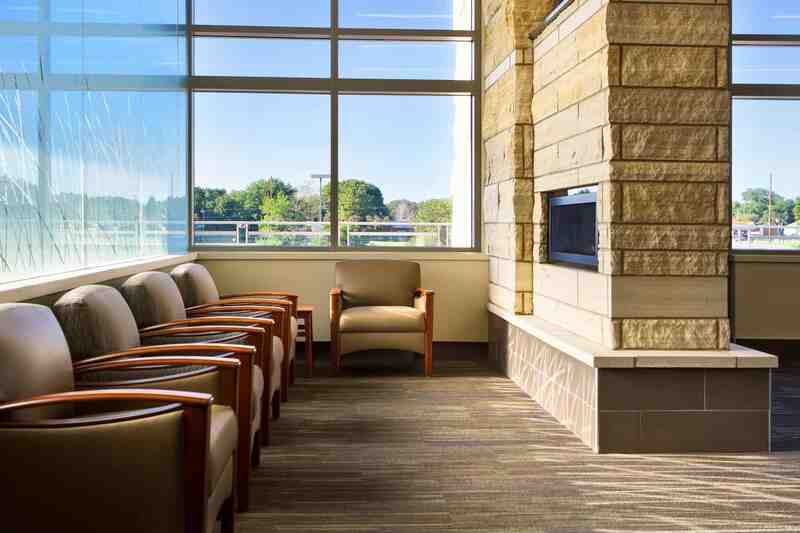 Daylight combines with natural materials and regional motifs to wrap patients and families in a place of comfort and hospitality. 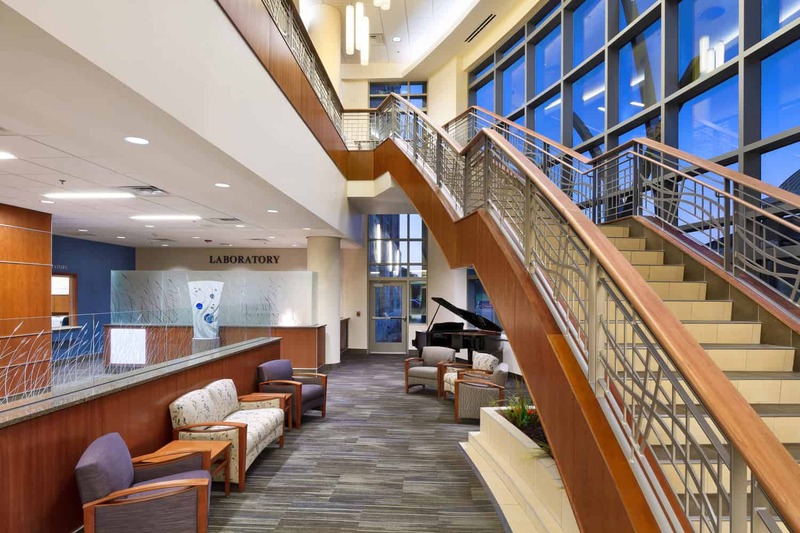 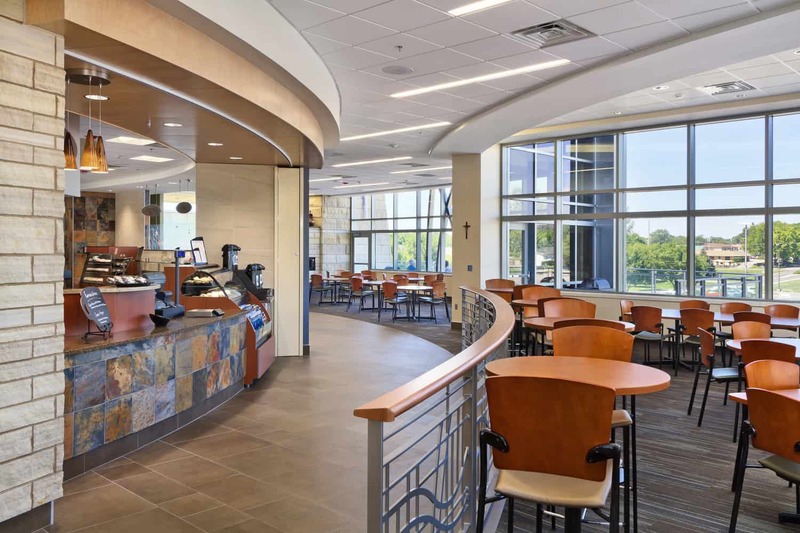 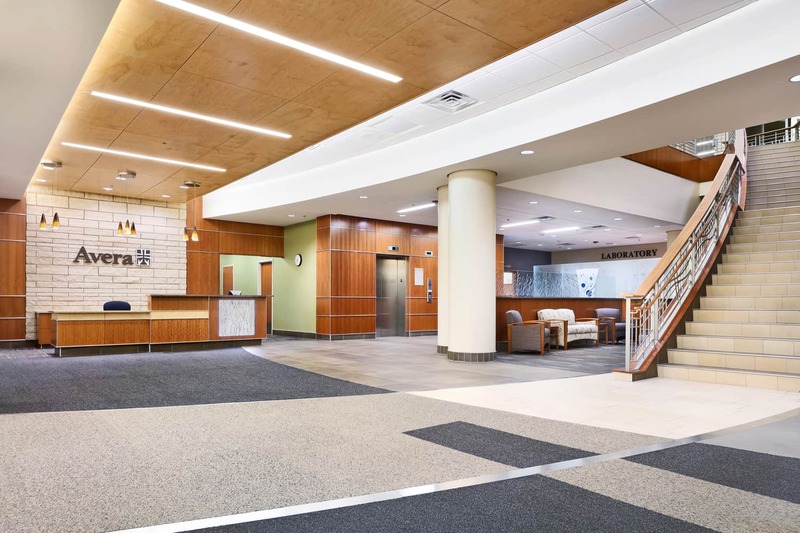 With laboratory services located on the first floor, the kitchen on the second, and pharmacy on the third, programs in the addition complement services such as surgery and emergency care in addition to inpatient care in the existing hospital.